This looks very good to me. I think you hit the nail on the head. I'll composit the render into the poster design next. Baw Ha ha... Thats so close. 7 years in Commercial Art and then spent my life selling groceries for the steady money. Be good, Post renders more soon. That so rocks :lol: After advertising I went to film school and in 1997 became a production professional (doing corporate videos mostly ;-P ) Work hasn't always been steady so now I teach and am currently on the movie and TV ratings board, the local equivalent of the MPAA ratings board. I wound up using the DOF in my October contest WIP entry but I’ll explore it in more depth in my next series of exercises. After trying different lights for each “camera setup” I went with the “sun” which was composed of several lights and just kept turning them off till I got the light/shadow mix that I wanted then played around with the light intensity as needed. skinned. Actually increased the levels for the brunette. To my eye, the "twins" scene looks like it could use some colorful ambient light. Currently, the shadows are kinda neutral gray-to-black, which to me produces a strange effect, especially on skintones. Assuming you're using DS4, there are some good HDR presets included for UberEnvironment2. The KHPark one is a good start for daylight, obviously, but some of the others can work well for daytime if you turn down the saturation. And even making your own fuzzy abstract custom lighting image isn't too onerous, if you check it by wrapping it around the EnvironmentSphere once in a while, as you go along. I have to say though, after going over your thread (Alan's Laboratory), this suggestion and spneding about 6 hours trying to figure Daz Lighting out, I still have no idea what your talking about :red: I do understand what you mean about the color of the shadows and such, and in the real world I'd know how to address in if I were lighting a scene, but here I'm stumped. Your doing very well, Lighting in 3D any 3D is the hardest part to learn and get right from image to image even when you have that AH HA moment with lights. Time and playing will get you to the place you want to be. LMAO!! Haha! That's cool man! Love your renders dude, really cool! Thank you so much, Jad, Spyro and Alan. Jad, I hope your feeling better. 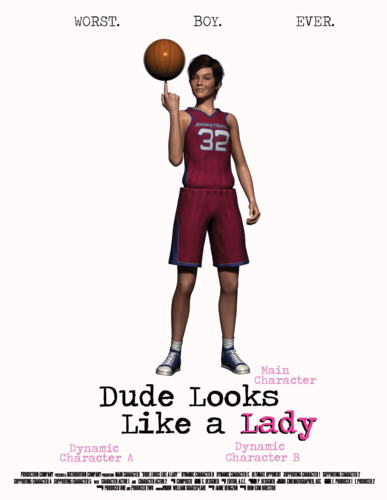 I did a Reality render of "Charlie" from Dude Looks Like a Lady. I need to figure out a way of how I can do proper "greenscreening" so I can properly composit her in PS for the poster. Rendering in Reality is a whole different ballgame, it seems. Before I go into that, a good rule of thumb (at least based on my rendering experience) is this: Render in Daz for a more painterly vibe and in Reality for a more photoreal approach. That's probably oversimplifying it and doubtless more experience will add nuances. But for the present, it's why I like The Magic Hour (my first render). It has a kinda early Boris Vallejo vibe to it and Unhappily Ever After, where I was going for a romance novel/Victorian gothic feel. In Reality, I've found it possible to get by on one light. In the previous render the source was a single softbox from the reality set. But the key (pun intended) in Reality is knowing how to use the Camera tab: there are Film Response and Exposure Control options (as well as a DOF, which I haven't used yet) and this seems to be key to getting a good render. But even before that, the first step seems to be calibrating scene elements in the Materials tab. I learned the hard way that the default values need major tweaking :shut: Fortunately there's a preview window so you can see the results. And this tab is where my training and experience as a cinematographer comes in useful. The Film Response pull down menu offers a choice of film stock. This will be immediately understandable to those with at least some experience in using celluloid: the film's lattitude, how "forgiving" it is in being "pushed" or "pulled". The Exposure Control option is where you can "rate" the film to "push' or "pull" it and the f/stop is how much light you want to let in for high or low contrast. I leave the shutter speed at 1/60 to be safe. The render above, which is in a studio setting, shows that I'm using "fast" film (rated at 800), have "pushed" it to 1000 and am shooting wide open at 2.0. The resulting render is high key/low con with shadows that have a lovely wrapping effect on the figure. 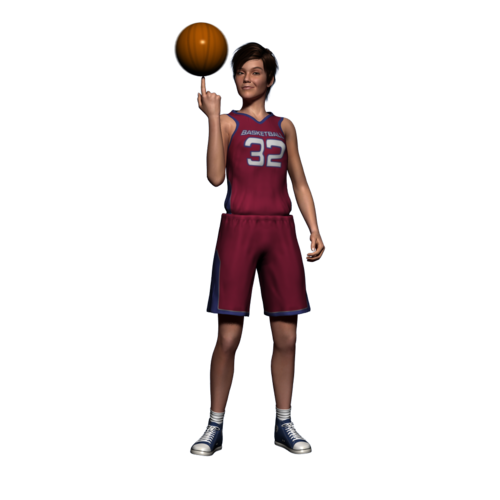 I also set her uniform to velvet so it has the quality of that material instead of the default glossy. After almost a week of immersing myself in Reality, I think I'm starting to get the hang of it. I still have a really long way to go :red: My experience as a cameraman serves me in good stead because the lighting's physics based and I have some familiarity with Kodak film stock and how to expose it for a movie camera. Then the work began. Trying out different "film stock", pushing (overexposing) and pulling (underexposing) and opening up or closing "the lens". Big advantage of Reality is using the sun is great for Day Exteriors; it's the only light I needed (for this scene). Film Response: Kodachrome 25 - Went with a "slow" film because while the latitude is narrow, when properly exposed the colors are rich and vibrant. Film ISO 25 - rated it straight; no pushing or pulling. Shutter speed - 1/125; while 1/60 is the default shutter speed (equivalent to a cinecamera's 24 fps) Kodachrome really shines with a faster shutter speed. f/stop 11.0- the sweet spot, found it by bracketing test renders. Total render time: 24 hours. The result: an improvement over earlier attempts. Oh yeah, that's the stuff! Check out the ambient in those shadows... Glad to see Reality->Luxrender started cooperating for you; it has a solid reputation for being friendly to real-world photographers. The Reality render of the twins was calibrated at 1/60 originally, as I had thought. But when I did a Reality render of the blonde I wasn't happy at all with the way it came out. After 2 test renders (playing around with the f/stop) I adjusted her position. Still wasn't happy, so I moved the sun. It started coming out better but I still wasn't satisfied. Then I wiki'd Kodachrome and that's where I found out the tip about brilliant colors coming from a "fairly high shutter speed"; in cinematography we get that by opening up half a stop to a stop. So I reset the shutter speed from 1/60 to 1/25. Still need to sort somethings out (due to some weird artfacting) but it's way better than the original. Renders attached are the original 3Delight render and the WIP Reality render. Much better! I thought the last one looked a tad washed out in brightly lit areas. BTW, you do know that with lux you don't have to re-render in order to change things like f-stop, shutter speed, film speed, film response, etc. don't you? You can just load the .flm file in lux from the previous render and then you can adjust to your heart's content. You just have to wait a bit until lux updates with your new settings but it is a whole lot faster than re-doing a whole render from the beginning. So I've been Immersing myself in Reality over the long weekend and I finally got my head around the dof:cheese: It turns out I was using too shallow an f/stop for my dof tests and for a couple of days the girl I was rendering looked like a Slenderman :shut: I'd even got to Pret-a-3d forums and found a thread on dof, but the solution didn't work-- because I didn't now my dof was too shallow. I finally skipped ahead to the relevant section in the User's Guide, gritted my teeth and used those settings --- and it worked! Here are the results, I'll post them in a separate entry observations. Any time sir! I do have an advantage in that I purchased the reality bundle when I bought it which includes the make your own reality video tutorial series which explains a great deal of things about reality and lux in detail.